Africa is one amazing continent where you find beautiful people, different tribes, ethnic groups, cultures, languages, dialects etc. 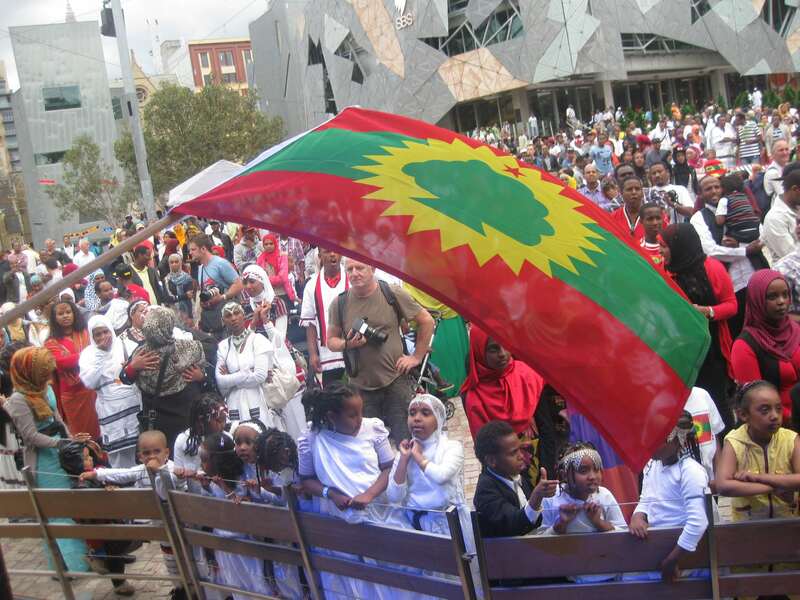 Today we will be introducing you to one of the greatest group you will find in Africa – the Oromo People. The Oromo people are the third-largest ethnonational group in Africa. They are particularly located in the horn of Africa – Ethiopia and Somalia. A few can also be found in Kenya. Original members of the tribe occupied a region called Oromia or Biiya-Oromo. It was a free country located in the horn of Africa but was later colonized by the Abyssinian empire (now Ethiopia). For a big part of their history, the Oromo people were referred to as ‘galla’. There are different accounts as to the reason why they were called Galla. Antoine d’Abaddie, a French explorer states that ‘galla’ was a war cry spoken by the Oromo themselves. Some accounts state that it means ‘to wander’, others say it refers to a ‘river’, ‘foreigner’, ‘pagan’ while some say that when the Islamic prophet Muhammad asked the Oromia chief to accept Islam, the chief said “gha la” which means ‘no’. Despite the unclear origin and meaning, history shows that this name was never used by indigenes of Oromia to describe themselves but by foreigners, hence it must connote a derogatory meaning. The Oromo people are said to have originated from the lake shamo (chamo) region. Oromos are part of the Cushite family (people from the ancient land of Cush/Nubia) who inhabited a large part of Northern and Eastern Africa. However, some Abyssinian historians dispute that the Oromos are old inhabitants of the land, stating that they were newcomers who migrated from Asia. Oromia people, however, believe such claims should be dispelled as it was fuelled by an account of Abba Bahrey who was biased against Oromia and further heightened the Abyssinians (Ethiopians) desire to conquer the Oromos. 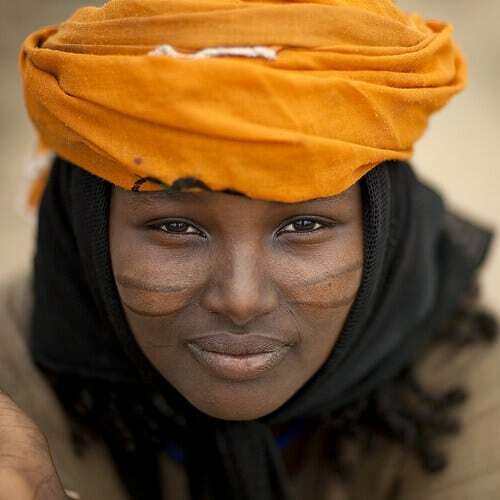 Due to having originated from the Nubian family, Oromos share a lot in common with Somalis, Afars, Bejas and so on. They have a unique system of organization called gadaa. The gadaa is a social system where leaders of the Oromo community are elected by their men every eight years. The gadaa system regulates social, political and religious spheres of life in Oromia. The Dabballee are the sons of the ruling class who fall under 8 years of age. As they get older, they progress to the next age grade. Every three years before the third age group ends, the Qondaala, the members of the Gadaa nominate future leaders who will now be members of the Hayyu council. Similar to modern democracy, the gadaa election is preceded by a period of negotiations/campaigns carried out by members of the Hayyu council as they try to gain supporters ahead of the election. In the Kuusa age grade, the men will be officially elected, while in the Doorii, they will be allowed to have wives. These two stages prepare the men for leadership, they learn Oromo history, administration, as well as other tactics and necessary information that will help their tenure. When they reach the Gadaa grade they assume full leadership powers. 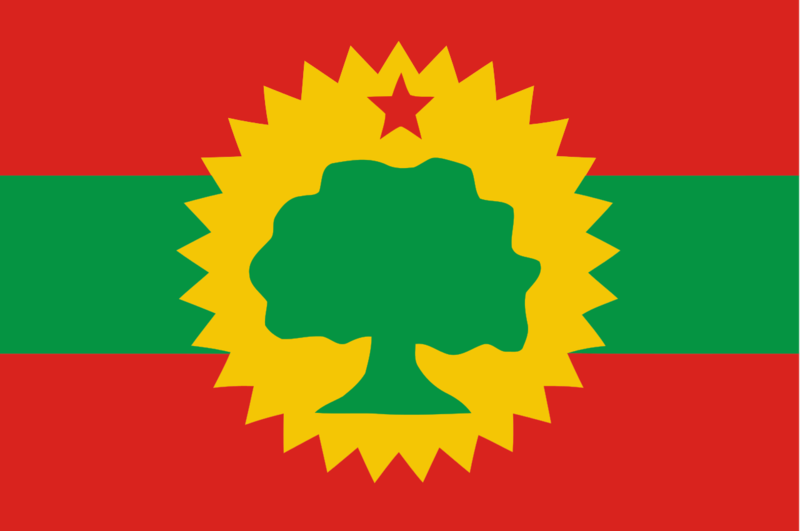 The Oromians have a unique flag which is a symbol of their own social, political and legal system. The flag, known as “Fajji Baqqala” in the Oromo language, is made up of the colours of the Qaallu turban (surri ruufa) and has three horizontally equal stripes: black at the top, red in the centre and white at the bottom. Each of the colours represents something. The black at the top represents those who are yet to enter active life and are generally considered as the unknown. The red colour represents those in active life found in different institutions. They are regarded as the people’s light. The white colour at the tail end represents those who had passed the stage of active life. It also represents the age of retirement. The Oromos speak the Oromo language called Afaan Oromoo. The Afaan Oromoo is a Cushitic language which has numerous variations spoken by over thirty million people. Other ethnic groups like the Sidama, Berta, Adare, Annuak, Koma, Kulo, Kaficho, and Guraghe also speak the Oromo language in addition to their own languages. Afaan Oromoo is the third most widely spoken language in Africa, after Arabic and Hausa and the second most widely spoken indigenous language in Africa south of the Sahara. Early Oromo people relied on vocal communication rather than written words to tell their story. Until recently, Oromos were denied the right to develop their language, literature, and alphabet. For almost a century, it was a crime to write in this language but with the rise of the Oromo national movement, Oromo scholars adopted Latin script (the alphabet used for English and most other European languages) in the early 1970s, and began to teach reading and writing. The attire of the Oromo is quite similar to their Ethiopian ‘cousins’, the Amharas, although that of the Oromos are mostly red. 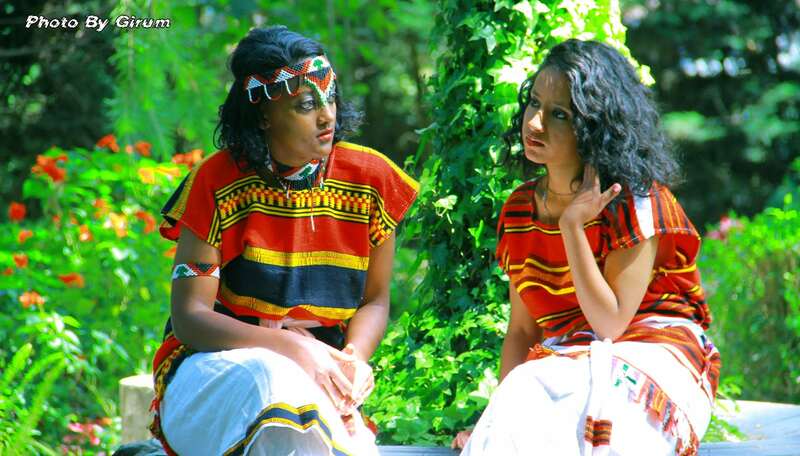 Due to the multifacetedness of the Oromo people, traditional garments might differ across individual tribes/clans. Clothes are usually made from a material called Shema. Shema is an Ethiopian cotton which was originally hand-spun but has been industrialized, although some locals still resort to manually spinning the material. The Shema is then sewn to make dresses, shawls, and other local garments. Music is quite an important part of the Oromian culture and like what is obtainable in most of the African culture, the Oromians have music for every occasion. For instance, The horse praising songs or faaruu farda as it is traditionally called is usually sung during the Hamamoto (bride taking). There are love songs, songs to appreciate the beauty of the Oromo people as well as songs that tell stories of the people’s long-suffering, joy and oneness. In 2015, the Oromo people embarked on a protest calling for an end to decades of systemic exclusion and subordination of the Oromians. 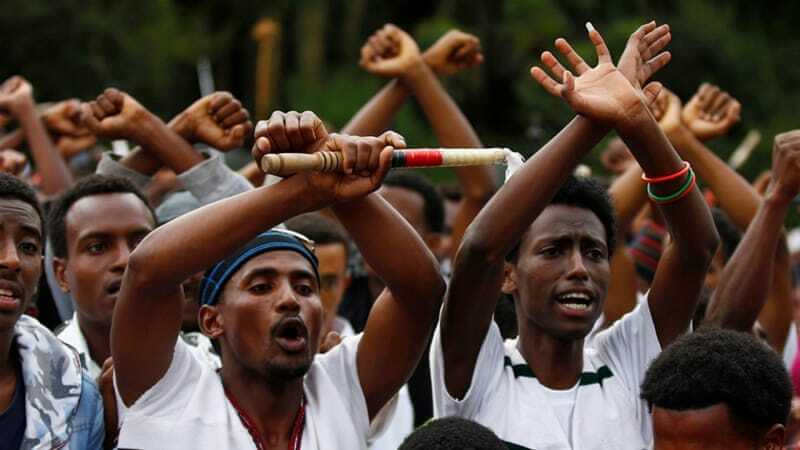 Although the protests were sparked by a government plan to expand the territorial and administrative limits of Ethiopia’s capital, Addis Ababa, into neighbouring Oromo towns and villages, there seems to more to it than meets the eyes. The protest which began small soon grew in magnitude and intensity. The protests reached a turning point on August 6, 2016, when hundreds of thousands of people marched in more than 200 towns and cities to resist the government’s draconian and ever-escalating repression and a climax on October 2, 2016, when the government responded with an overwhelming force, which Amnesty International described as “a vicious cycle of protests and totally avoidable bloodshed”. Over two million people had gathered to celebrate Irreecha, a cultural festival in which Oromos from all walks of life congregate to celebrate life and nature when security forces fired tear gas and live bullets on the crowd and arrested over 11,000 people. This didn’t end here, the protest was further fueled and gained international attention when Feyisa Lilesa, an ethnic Oromo marathon runner, crossed his wrists above his head in an “X”, a gesture that came to define the Oromo protests, as he crossed the finishing line at the Rio Olympics to win the silver medal. In January 2018, top officials in the Oromo region announced that 2,345 inmates had been pardoned, of whom 1,568 had already been convicted and sentenced. Earlier Merera Gudina, an opposition leader who was arrested in December 2016 on his return from Brussels where he had addressed members of the European Parliament on the violence in his country, was freed alongside 114 other inmates. Although the Oromian people are yet to get their demands from the government, they have succeeded in the changing the history of Ethiopia forever.